Israel Cruz is an Australian singer-songwriter and record producer. Cruz was born in Quezon City, Philippines and at the age of 13 moved to Melbourne, Australia with his family. 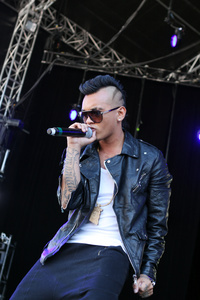 He currently lives in Sydney, Australia with friends and has written and performed with Australian singer Stan Walker. This webpage uses material from the Wikipedia article "Israel_Cruz" and is licensed under the GNU Free Documentation License. Reality TV World is not responsible for any errors or omissions the Wikipedia article may contain.